When a penniless, eighteen year-old orphan from the slums of Mumbai comes within one question of winning a staggering 20 million rupees on India's Who Wants To Be A Millionaire?, a police investigation reveals his amazing story. 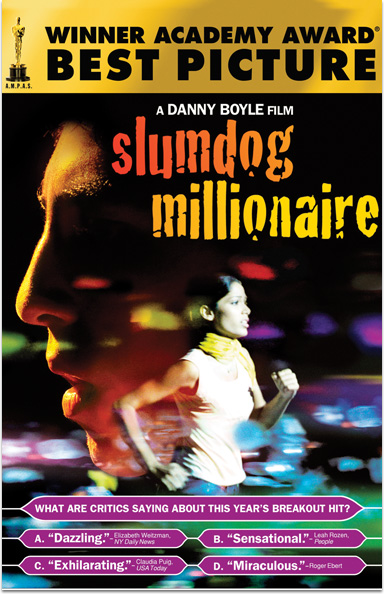 SLUMDOG MILLIONAIRE © 2008 Twentieth Century Fox Film Corporation. All rights reserved.